Want to make lunch extra special this weekend with something homemade? 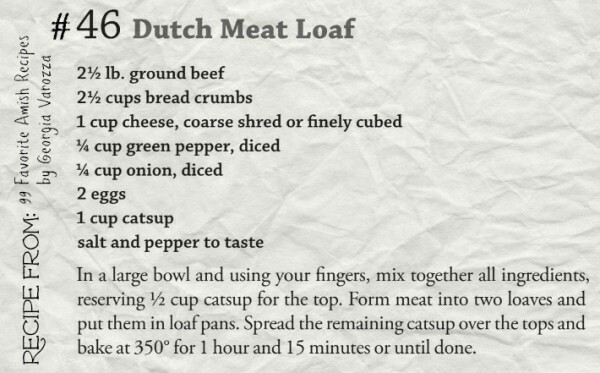 Try this Dutch meat loaf recipe from Georgia Varozza’s 99 Favorite Amish Recipes! And if you want more lunch (or breakfast and dinner) ideas, you can get the full cookbook now from Amazon.com, BarnesandNoble.com, Christianbook.com, or HarvestHousePublishers.com. Happy cooking, Amish readers!